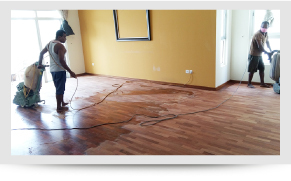 Bright Quantico Sdn Bhd is the leading floor cleaning, polishing, repair, sealing, restoring and maintenance experts in Malaysia. Our main office is located in Bukit Cheras, Kuala Lumpur (KL). 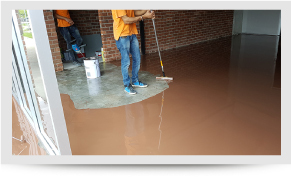 You can depend on us for almost any flooring surface cleaning including marble, granite, travertine, flagstone, slate, terrazzo, brick, concrete and all natural stone. Contact us now for more details. 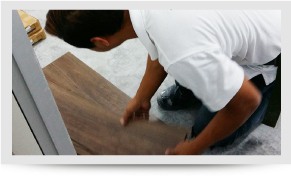 We are the floor Cleaning, Polishing, Repair, Sealing, Restoring, Maintenance experts in Malaysia. If you have a marble floor, wall, countertop vanity or shower that has become etched, has lost its shine and beauty or is in need of repair, then it is probably time to call a professional restoration contractor. 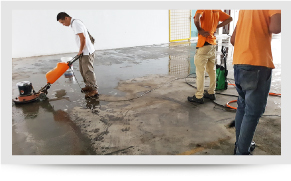 We can polish, refinish, repair and completely restore your marble, limestone, travertine, saturnia or other natural stone back to its original condition. If you have marble with a matte / honed finish, it, too needs proper care and maintenance. A marble with a matte / honed finish should be periodically cleaned and re-sealed by a professional. 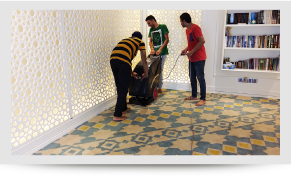 At Bright Quantico we not only perform these services, we can instruct you on the proper care you should use in cleaning and maintaining your marble floors and surfaces. 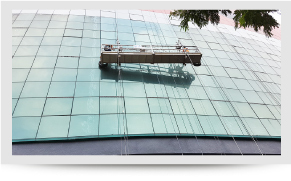 We offer a full line of Care Products to assure you are using the proper cleaning product that will give your marble the beauty you are looking for. Bright Quantico is a full service and restoration company specializing in natural stone, such as Marble, Granite, Limestone, Porcelains, Ceramics, and many different types of engineered stone. 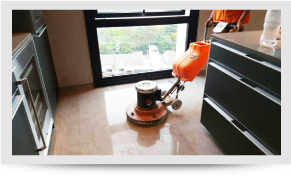 With the introduction of concrete grinding and polishing we can produce an extremely hard, durable and highly polished surface.We cover all aspects of work on floors, walls, bathrooms including showers, counter-tops, tables, stairs, stone buildings, outdoor tiles to restoration of fine statues. 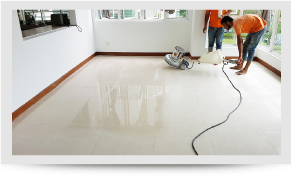 Bright Quantico Restoration’s experts will evaluate the condition of your natural stone or engineered stone to determine the best procedure to return it to its original beauty. Whether you’re stone, tile or concrete surfaces are two or twenty years old, our restoration and product division can advise you of the best procedures to use to enhance the appearance of your stone.